Get into the Christmas spirit with Marfleet movie night! 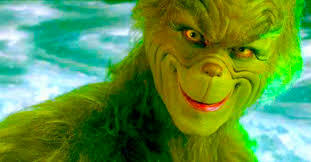 On Wednesday 12th December we will be holding a Christmas movie night watching ‘The Grinch’. Tickets will be on a first come first served basis with a limit of 80 places, £2 each – this will include unlimited drinks. Children are invited to bring money with them to purchase food. We will be selling hot dogs for £1, crisps at 50p and sweets at 50p. Please buy your tickets at the school office and sign to say your child is allowed to view the PG film.